What are you crowdfunding for on GoFundMe? We’re writing and developing a brand new musical on an original theme and story. We want to forge our own unique path to the creation of a musical, sharing the whole process online. We have an awesome story to tell and are looking for forward-thinking, musical loving, supportive backers who will help fund the development and recording of the promo tracks and videos and the creation of an online showcase where you can read, watch and listen to the musical. What you get in return is the chance to get in on an exciting project right at the beginning and follow the whole process through planning, writing, workshopping and recording. The musical starts just as the bell strikes twelve on New Year’s Eve. In the big opening number, This Time Next Year, we get to see the characters sharing their dreams and hopes for what the next year might (or might not) bring. They think they know exactly what they want but events begin to unfold which will send ripples through the lives of all our characters. The musical charts a year in the life of our eight principle characters, and how serendipitous moments can bring about unexpected and far reaching consequences. With love, laughter and tragedy, the story is inspired by the real, and often hilariously complicated, love loves of people known to the writers. The musical was conceived in early 2018 by writers Samanatha Joy and Chris Lawry, and was originally intended to be called ‘Serendipity’. After getting some initial backing on GoFundMe to get the project off the ground, by the middle of 2018, two thirds of the music and lyrics had been completed and the libretto had been through an initial testing stage in three different draft versions. Join us to find out out if good things really do happen to those who wait. Don't miss it, we absolutely love the story and we know that you will too! How would you sum up the musical? It’s about real life. Real situations. Real people. The real antics and dramas that often make up our lives. The plot has even been influenced by real life situations connected to the friends of the creative team! It’s morally interesting, using real-life situations. Often it’s only when we’re in the darkest moments of our lives that we can see the proper way forward lit in front of us, and this underpins the musical, the characters all think that they know exactly what they want, which leads them into tricky and messy situations. There is a redemptive element to the story, with a strong message, examining life in all its highs and lows…in a way which is raw and real. We know that everyone will be able to identify with characters and storylines from the musical, stories of desire, betrayal, dreams, disappointment, love, comedy and hope. The characters and stories have captured our hearts, made us laugh and cry, and we can’t wait to reveal the whole musical to you too. We are very lucky to have an amazing creative team and development crew! Years and years of experience in musical theatre, stage production, composition, songwriting, orchestration, musical direction, and stage and vocal performance combined with forward thinking creative and engaging storytelling means that we have all the best people to make this project happen and to the highest level. Combined with the supporting crew’s abilities in sound & recording engineering, and visual design, we can get everything we need to make this project a success. All the money raised will go towards the production and research expenses of getting this musical developed and the cast album recorded. After it Rains is written by Samantha Joy, Chris Lawry and Chris Collington. Between them they have a huge amount of experience in, and a deep fascination and love for, musical theatre, performance and direction. They have worked together on many creative projects, crossing diverse genres, including several large scale musicals-inspired projects that have recently helped to raise many thousands of pounds to benefit, and raise awareness of, various inspiring charities. They all have a lifelong affinity with musical theatre, and both started their careers in the genre, as performers and directors. Chris L is internationally known as a composer, arranger and orchestrator, as well as a skilled accompanist, and musical director. Sam is a talented and inspiring lyricist, as well as a teacher, musical director, and classically trained mezzo soprano. Between them, our creative team have an unrivalled passion and commitment to musical theatre and to this project. This. Is. Going. To. Be. AWESOME! What are your ultimate aims? 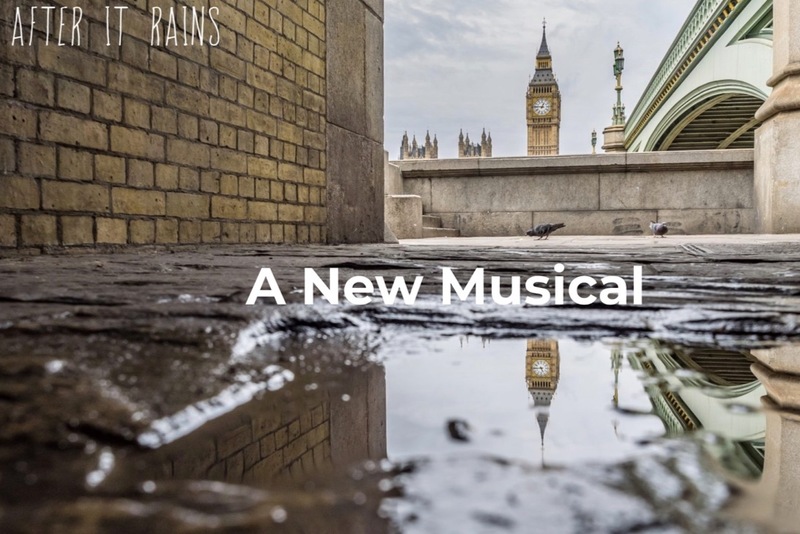 People and connections are the key to this project and we passionately believe in developing this musical alongside building up a following of backers and musical theatre fans. We’re aiming really big, and we want to create a musical in a more open way, breaking with the traditional route (our creative team are total rebels at heart!). We don’t want to hide away in secret writing the musical, only telling everyone about it when it’s finally on stage. Musical theatre is essentially written for you, the audience, and you are the most important element after all, so it makes total sense that you should be part of the story. The building up of #TeamSerendipity is really important to us, as is the connection with you all. This campaign is to build on the initial work writing the full libretto and songs to produce the promo audio and videos of songs and scenes which can be featured in the online showcase of the musical. A Cast Promo Album will also be produced for backers. Because we wanted to get you involved from the very beginning, it made total sense to offer ways that backers could engage with, and support, the musical. Ever wondered what goes on behind the scenes in the creation and development of a musical? Then this is for you! Although we’ve started with a modest goal to reach, the more money we can raise from all our fabulous backers, the more professionally we can reach completion of the promo cast album and take the musical onwards and upwards to the next level. In the initial crowdfunding campaign, we had a huge range of options available to people who back the project, from copies of the promo cast CD to decal stickers, signed photos or sheet music, chances to get your name as a patron in the CD artwork and on our website, up to more personalised options such as VIP tickets to workshops, commissioning compositions from the team, or even helping to name a character in the musical itself. There was too much choice really; a mistake we're not going to make. Most people wanted either the MP3 or CD album (c.£10-15), the Official Patron (£50), Song Dedication (£100) or workshop visit (£250) so these are the only ones we've taken forward to the newly named campaign. GoFundMe no longer allow data sharing or reward levels, so, if you back us and would like one of these rewards, email us at info@rainsmusical.com after you have donated and we'll get you on our list. We thank our initial backers so very much, we couldn't have got this far without you and stick with us! To new and continued backers, thank you so much for helping to make dreams come true. We’re aiming high so the more people we can get the message to about the musical the better. We want as you all onboard; we want you to join us on the journey. Help spread the word for us and tell people you know that might love musical theatre about our exciting new project. Share our details, and also follow us, on social media and sign up to receive email updates. Thank you all so much, in advance, for supporting us and new musical theatre. Dreams don't get made without people like you!